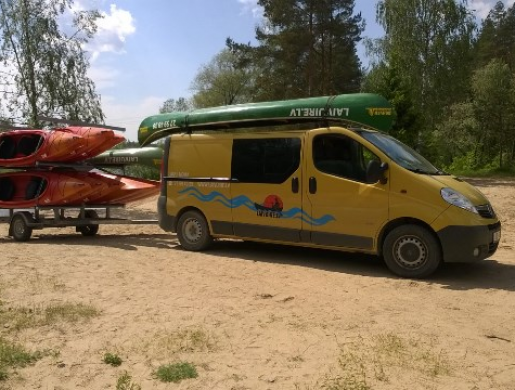 Boat transportation services include boat rental from boat base, transporting to the starting point of the route and transporting back to boat base from route's end point. No extra charge for the boaters transportation. The number of boaters transported is limited by the number of seats in our van . You may deliver boat to the beginning of the route only if you have your vehicle equipped with roof rack and cargo straps .We don't limit boat transportation to just above proposed routes. We are ready to deliver boats and boaters to any place of your choice; please contact us about pricing of boat transportation. © LAIVUĪRE.LV - All rights reserved.